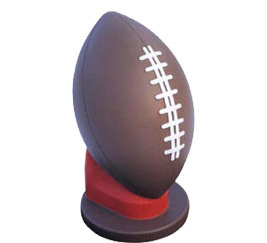 These concrete football bollards show the way to your sports stadium. The concrete football bollards also act as a barrier while limiting access to high profile areas and controlling vehicular traffic. These bollards all have 3/8" reinforced steel rebar for added strength and meets all the ASTM standards.